let OrthoBanc do the same for you. Your Payments are Our Priority. OrthoBanc makes financial conflicts in our office obsolete! 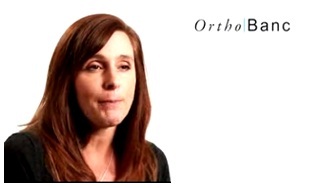 OrthoBanc is a risk assessment and payment management provider specializing in electronic payments for orthodontists. Our management team has over 100 years of experience in risk assessment and we have been managing payment plans for businesses since 2001. OrthoBanc manages orthodontic payment plans by drafting the monthly payments from the responsible party's checking account or credit card. We also handle all follow-up related to that payment. Learn what thousands of orthodontists have already discovered - OrthoBanc simplifies the monthly payment process making sure you receive payments on time each month while freeing your staff's time to focus on providing excellent orthodontic care. Request a demo to learn about Payment Management and our entire suite of practice management tools.